Roku 4 works with virtually any TV with an HDMI connection. 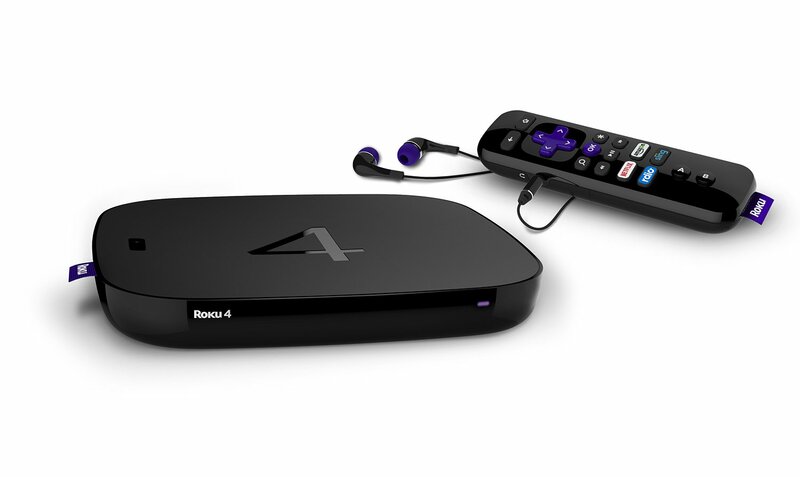 You can plug your Roku 4 directly into your TV or receiver depending on your preference. To view 4K content, you will need a compatible 4K UHD television. The future of streaming is here. Brilliant picture quality for 4K Ultra HD &standard HD TVs and powerful wireless for the best streaming experience. Theincluded point anywhere remote offers voice search, headphones for privatelistening, gaming capability, and even a lost remote finder. Enjoy more than2,500 streaming channel, offering access to 300,000+ movies and TV episodes,plus games, music, sports, International, kids programming and more. Searchthe widest selection of channels, get unbiased results, and quickly find thebest option or value. Follow your favorite entertainment and get updates whennew content is ready to stream.